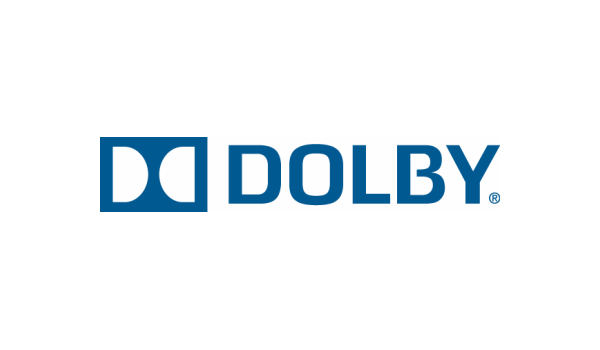 San Francisco and Beijing, April 6, 2016-Dolby Laboratories, Inc. (NYSE: DLB) and Wanda Cinema Line Corporation Ltd. today announced that Wanda is planning to purchase more than 800 units of Dolby digital cinema processors, including the Dolby Atmos® Cinema Processor CP850 and the Dolby® Digital Cinema Processor CP750, to deploy in all of its new cinema screens in China through the end of 2016. "Dolby has always been a strategic partner to Wanda with its proven track record of providing quality products that deliver high reliability and great performance," said Jack Wang, General Manager, Information and Technology Center, Wanda Cinema Line Corporation Ltd. "We are glad to continue to leverage Dolby's strong expertise in cinema audio and further expand our Dolby Atmos screens with the recent orders of the Dolby Atmos Cinema Processor CP850." "Dolby is delighted with its ongoing collaboration with Wanda to bring amazing cinema experiences to moviegoers across China," said Doug Darrow, Senior Vice President, Cinema Business Group, Dolby Laboratories. "Dolby is committed to supporting the cinema industry through quality and innovation, and we look forward to our ongoing efforts with industry leaders like Wanda who look to offer spectacular moviegoing experiences to consumers." The Dolby Atmos Cinema Processor CP850 offers a complete audio solution to today's digital cinema theatres and brings a natural, realistic, and immersive Dolby Atmos sound experience to audiences. The Dolby CP850 supports Dolby Atmos playback up to 64 speaker feeds, configurable between 16 analog outputs and a Dolby Atmos Connect output. The Dolby CP850 supports Dolby Surround 7.1 and 5.1 digital playback as well as common Dolby formats used with alternative content in cinemas: Dolby TrueHD, Dolby Digital PlusTM, and Dolby E.
To ensure proper setup and playback, the Dolby CP850 unit also includes the Dolby Atmos Commissioning Service. The service provides a review of a cinema's sound-system design to ensure that the speakers and amplifiers have the necessary performance and room coverage to deliver a high-quality Dolby Atmos experience. It also includes initial room equalization after the equipment is installed. The Dolby Digital Cinema Processor CP750 provides easy-to-operate audio control in digital cinema environments while integrating seamlessly with existing technologies. The Dolby CP750 supports 5.1 as well as Dolby Surround 7.1 premium surround sound, and will receive and process audio from multiple digital audio sources, including digital cinema servers, preshow servers, and alternative content sources. The Dolby CP750 is ready for use by a network operations center (NOC) and can be monitored and controlled from anywhere on the network for status and functions. Warner's Batman v Superman: Dawn of Justice took in $3.19 million on Monday to lead the daily box office for an eleventh consecutive day. 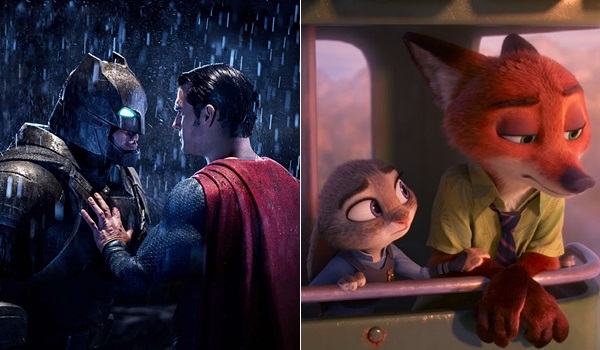 The blockbuster 3D superhero film starring Ben Affleck and Henry Cavill continues to be extremely front-loaded, as the film was down 77 percent from Sunday and down a very sharp 79 percent from last Monday. In addition to being affected by poor critical reviews and mixed word of mouth, Batman v Superman may have taken a bigger hit than other films did on Monday from the NCAA Men's Basketball Championship Game. Batman v Superman has grossed $263.60 million in eleven days. The film is now running just 3 percent ahead of the $255.16 million eleven-day take of last year's Furious 7 (which fell 76 percent on its second Monday to gross $3.64 million). Disney's Zootopia took second place with $1.40 million. The blockbuster 3D computer animated film declined 74 percent from Sunday and a sharp 70.5 percent from last Monday's inflated post-Easter performance. Zootopia has grossed $276.67 million through 32 days. That places the film 22.5 percent ahead of the $225.85 million 32-day gross of 2014's The LEGO Movie. Globally, Zootopia has grossed a massive $799.7 million to date and is set to surpass the $800 million global mark today. Universal's My Big Fat Greek Wedding 2 claimed third place with $0.785 million. The long-awaited comedy sequel starring and written by Nia Vardalos was down 73 percent from Sunday and down 61 percent from last Monday. My Big Fat Greek Wedding 2 continues to perform on the very high end of expectations with $37.37 million in eleven days. That places the film just below the $37.53 million eleven-day gross of last year's The Intern. With $276.7M domestically and $523M internationally as of April 4, Disney’s Zootopia will leap past the $800 million mark at the global box office on Tuesday, April 5. The #1 industry release of 2016 globally, Zootopia is the second biggest Walt Disney Animation Studios’ release of all time in its original release (after Frozen) and the third biggest overall (after Frozen and The Lion King). It’s also Disney’s sixth biggest animated release of all time and the industry’s fifth biggest original IP animated film ever (fourth biggest excluding re-releases). 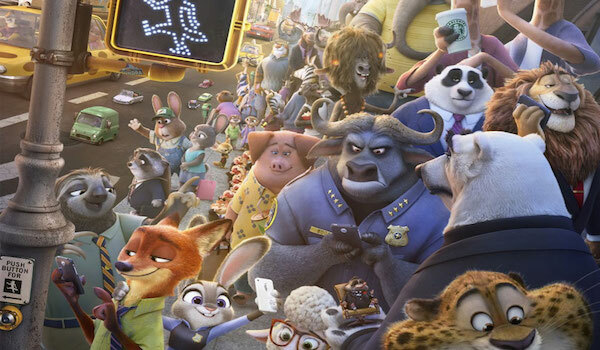 With a 98% Certified Fresh RottenTomatoes score, Zootopia has seen continued enthusiasm from audiences around the globe, including in the U.S. where it is one of the highest grossing March releases of all time; in Russia, where it’s the second biggest industry release ever; and in China, where it has grossed Rmb 1,444M ($222M USD). Ultra-Stereo Labs, an industry leader in digital cinema technology, for the motion picture industry, has made new advancements on the increasingly popular JSD-60 Digital Cinema Processor. USL's inventive engineering team has now added Parametric Equalization and Bass Management to the JSD-60 processor. The JSD-60, along with many of the other innovative USL products will be on display at the CinemaCon convention, April 11-14, in the USL, Inc. booth (#412F) at Caesar's Palace in Las Vegas, NV. JSD-60 users now have the choice between third octave equalization and parametric equalization. With third octave equalization, users have 27 fixed frequency filters plus bass and treble shelving filters. As an alternative, the user is presented with eight parametric filters on each channel. The frequency, gain, and Q can be adjusted on each. It is often possible to get better sound by using fewer filters with the precise frequency, gain, and bandwidth required than using a large number of fixed frequency filters. New bass management firmware adds a second LFE channel with its own input mixer and equalization. In a typical cinema installation, this second LFE channel (LFE2) drives subwoofers in the rear of the auditorium. The surround channel audio coming in over AES/EBU (Ls, Rs, Lrs, and Rrs channels) are combined in the mixer, filtered, and then sent to LFE2. LFE2 extends the low frequency range of the surround speakers. Additional features of the JSD-60 include an optional BLU Link output board, an internal RTA, 8 main outputs (for up to 7.1 channels) plus HI and VI-N outputs (all balanced line level). It comes with a digital bypass circuit for AES/EBU and all other formats. An optional internal biamp crossover is available for 5.1 and 7.1 channel auditoriums. Drive-In cinema support is also included. "These new features along with the state of the art 96 KHz processing will make this processor even more desirable," commented Jack Cashin, Founder and President of USL, Inc. "We have listened to our customers and updated these features per their request," added Tom Atkison, Director of Technical Sales. For over thirty-five years, USL, Inc. has been a global leader for technical achievements in design, manufacturing, research and development of cinema products and a six-time International Cinema Technology Association award winner of the Manufacturer of the Year. Sacramento, Ca. USA - 5 April 2016 - Barco, the global leader in digital cinema, returns to CinemaCon 2016, April 11-14 at Caesars Palace in Las Vegas, Nevada, to showcase the next step in its full line of groundbreaking cinema technologies, designed to engage audiences while delivering a higher level of operational efficiency for exhibitors. At CinemaCon, attendees will be enthralled by CinemaBarco, Barco's complete collection of cinema technology solutions. CinemaBarco is comprised of four key technologies: Barco Laser Projection, Barco Escape, AuroMax® and Barco Lobby Experience. Each of them has innovative attributes that offer a complete immersive and unique moviegoing experience before, during and after the show. Recent independent and exhibitor surveys indicate that moviegoers give the highest image quality scores to Flagship Laser-illuminated screens. They also state that this premium experience would entice them to visit the cinema more frequently and that patrons are willing to pay a higher ticket price for the laser-projected movie, resulting in significantly higher revenues for exhibitors. These top-line indicators, combined with operational efficiencies and cost savings (from the elimination of lamp swaps), create a very solid business case for Barco's Flagship Laser. Now, movie exhibitors can benefit from laser projection in every auditorium across their entire circuit, thanks to the introduction of Barco's new economical line of Laser Phosphor cinema projectors. At CineAsia 2015, Barco introduced the DP2K-15CLP and the DP2K-20CLP, the first of a much broader wave of Barco Laser Phosphor projectors. The DP2K-20CLP, an 18,000-lumen laser phosphor projector for cinema, is an industry first, featuring three times the brightness of any other laser phosphor projector and lower operating costs than Xenon projectors. Barco's laser phosphor projectors provide considerable cost savings and ease of use due to the elimination of costly projector lamps. An innovative cooling system enables long projector lifetime beyond 30,000 hours. Compared to lamp-based projectors, their optical efficiency is also significantly higher, decreasing electricity costs up to 50 percent. This revolutionary sound rendering technology, powered by Barco Audio Technologies (formerly IOSONO) and Auro Technologies, combines the best characteristics of object-based technology with the Auro 11.1 by Barco immersive sound format. The result: the most natural, acoustically perfect representation of standardized immersive sound - at up to half the cost of a typical object based sound system.